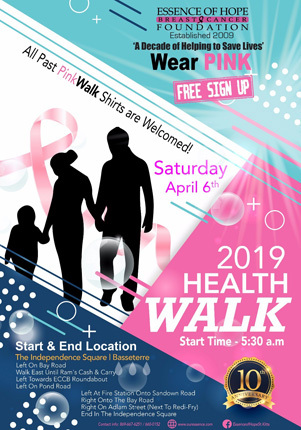 Join us Saturday, April 6, 2019 for our first 10th Anniversary commemorative event — A Health Walk. There is no cost! Just wear a past PINK WALK T-shirt or any pink shirt. This will be the first of our health walks before our massive Annual PINK WALK in October.